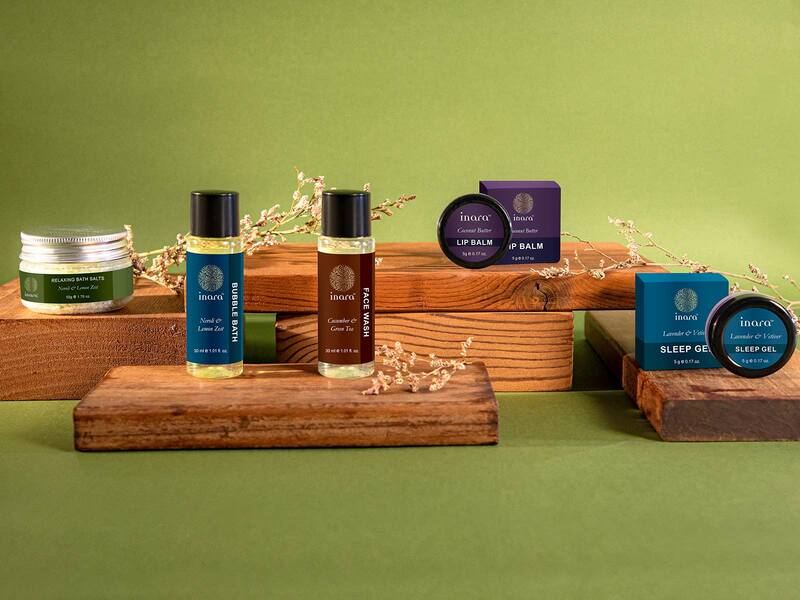 Our treatments and massages are inspired by the art of healing from traditional practices around the world. We offer products for every need, from a quick boost to a more intensive facial treatment. Our products deeply cleanse, hydrate and exfoliate, resulting in brighter and well-nourished skin. Our diverse facials combine exceptional fragrances with smooth textures and exclusive active ingredients derived from plant extracts. Pure ingredients, like Almond Milk, Green Tea, and Turmeric provide solutions to your specific beauty needs – whether it’s dull and damaged, ageing, or dehydrated skin. 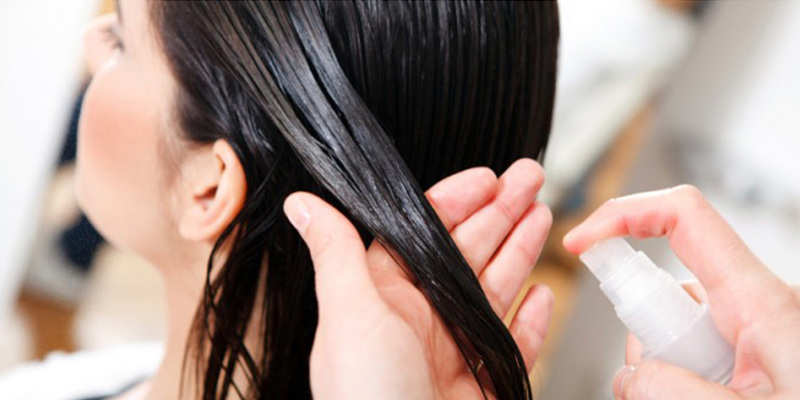 Inara offers the finest products required in a hair care regime- from Head Massage Oils, to Shampoo and Conditioners. Head oil massages help release tension, while nourishing the hair and scalp by providing it the necessary nutrients. Followed by a thorough cleanse with our sulphate-free Shampoo and nourishing Conditioners, our hair treatments result in an overall healthier scalp and hair. Inara’s Head Massage Oils penetrate into the scalp to improve hair quality and target diverse hair concerns. Our range of Shampoo gently cleanse the hair, without any harmful chemicals, and should be followed by our all-natural nourishing Conditioners to smoothen and nourish hair. We believe that hard-working hands and feet have specific needs and our products provide that special care. We offer effective products for every required step in a thorough manicure and pedicure session. Designed to enhance and refresh, our manicures and pedicures assist you in maintaining beautiful hands and feet. We recognize that hands and feet are exposed to different kinds of damage and hence we offer diverse products for manicures and pedicures, targeting each precise concern differently. 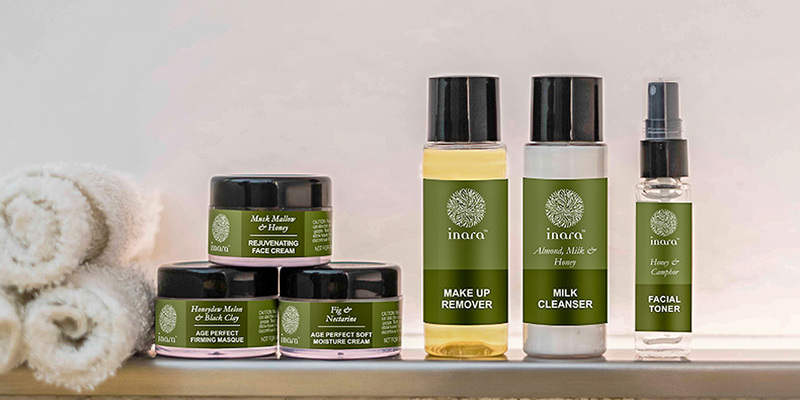 Inara’s vast range of body treatment products cater to different requirements and concerns, ranging from deep nourishment, to exfoliation, to aromatherapy and much more. 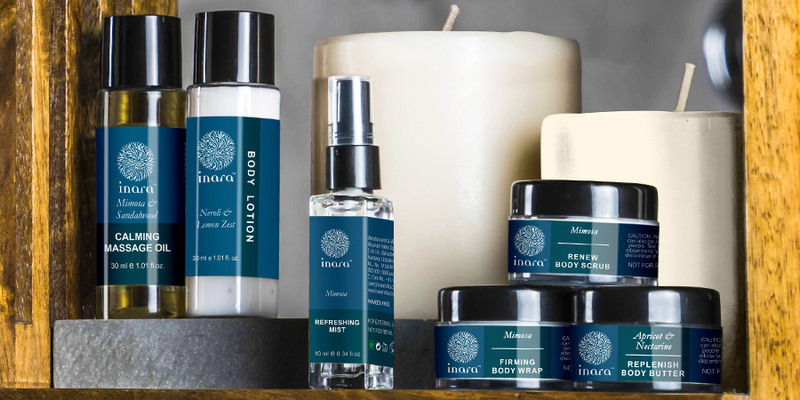 Our Body Treatments collection consist of naturally scented massage oils, effective body wraps, deep cleansing body scrubs, nourishing body washes and body butters. Available in soothing blends, with active ingredients like Pink Grapefruit, deeply nourishing Shea Butter, nurturing Honey, and natural oils including Cedarwood and Neroli, our treatments boost circulation and re-energize the body and mind.